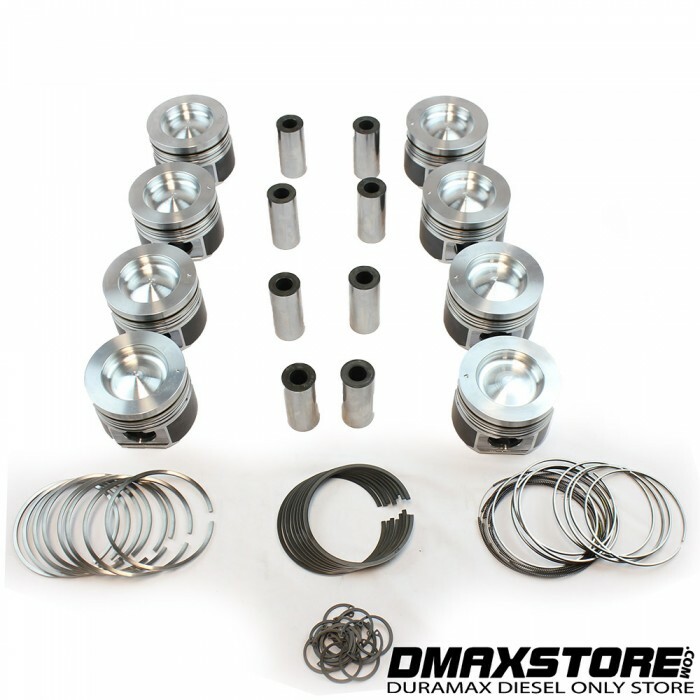 Designed for street/strip or pulling trucks making 400-1000HP that still get used as a daily driver or work truck. 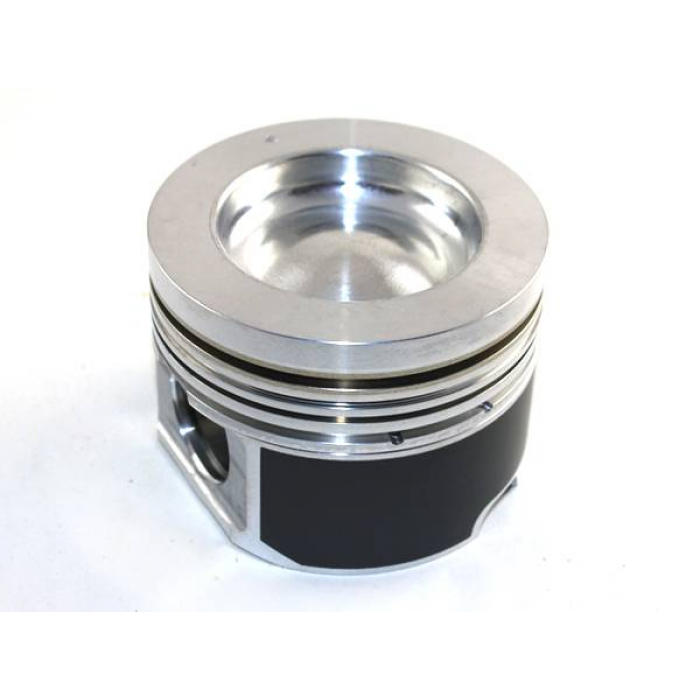 Machined from OE castings (retaining the cast iron ring insert) to give the same drivability and longevity of a replacement piston with additional strength necessary for modified engines. 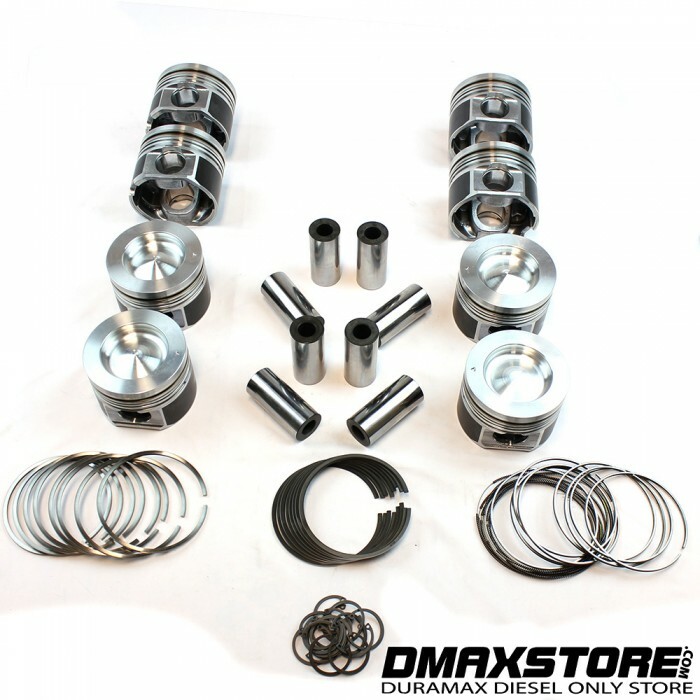 These Pistons are built for customers looking to get 100,000+ miles on a high horsepower applicaton. 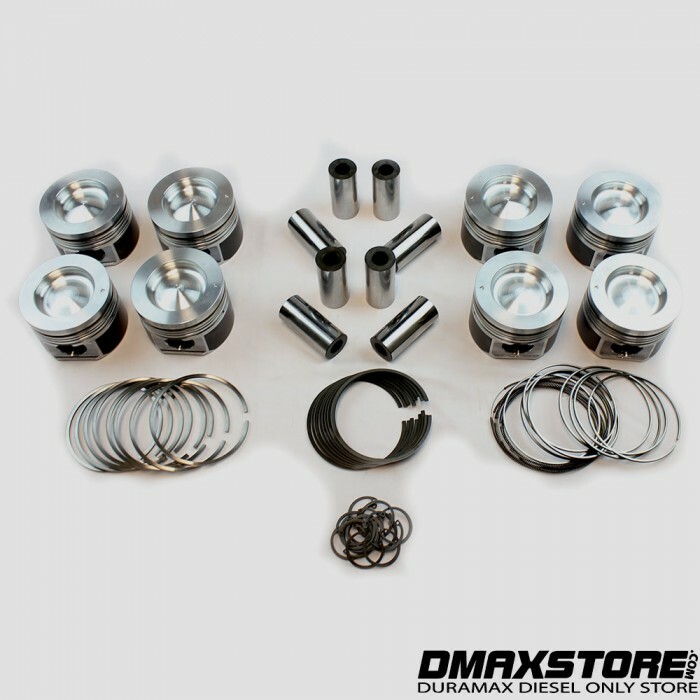 Unlike some of the higher HP forged pistons which need to be replaced every 20,000 to 30,000 miles, these Mahle Pistons are built to last. Performance-oriented combustion bowl with design features intended to reduce erosion issues caused by high pressure, long duration and advanced timing. 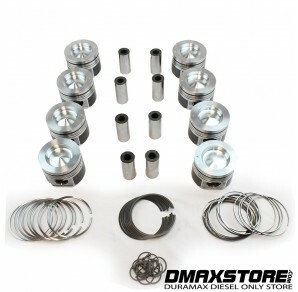 Lower compression ratios allowing more flexibility for high output tuning. Fully radiused valve pockets, where applicable to reduce drag and increased scuff resistance.